Get bilingual transcription to interpret your audio/video files into multiple LANGUAGES YOU DESIRE. Sam studio gives best opportunity to enhance your audio/video transcription services into different languages. The process of bilingual transcription will help to transcribe your recorded audio and video files into desired languages or multiple languages supported formats based on your business and industrial needs. We are having trained and well-experienced professionals; they can efficiently recognize your transcription requirements and delivers suitable quality outcomes at reasonable prices and fast turnaround time period. 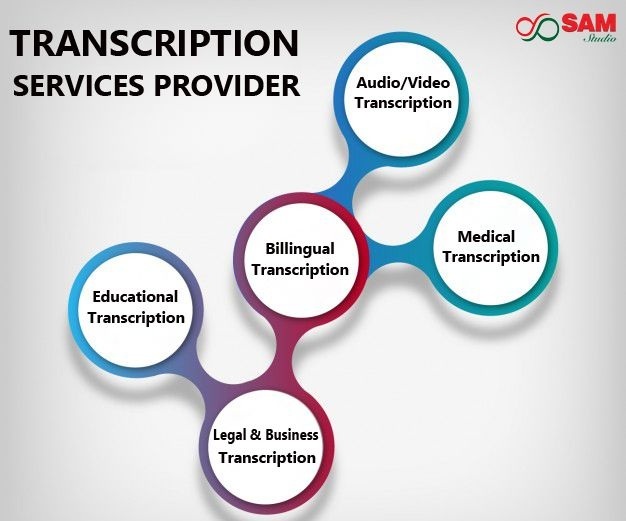 Our expert team of transcription professionals will efficiently understand your personal and business requirements and delivers high-quality bilingual transcription services for financial documents, personal and confidential interviews, medical research documents, business research documents, legal documents, dictations, marketing and advertising agencies. Why outsource bilingual transcription to us? Outsourcing bilingual transcription services to specialized services provider will help to convert your languages into multiple languages formats. Bilingual transcription helps to enhance your business into the global level. We are providing tailor made business solutions to your multiple languages supported business across all over the world. Our specialty is delivering 100% satisfied outcomes to your bilingual transcription needs. It reduces complexity in your business. Our excellent and experienced expert's transcription services are reliable, seamless solutions at reasonable costs. Why we recommend Bilingual transcription services? Bilingual transcription technique will helps to convert your audio/ video file formats into suitable and multiple languages supported text formats. We are providing option to send your bulk volume of audio or video recorded files to our experienced professionals. We will helps to improve your recorded speech, legal interviews, video files, music files, research files into suitable readable documents formats. Our value added transcription services will help to transcribe your multiple languages supported formats. Our only focus is, whether any kinds of quality audio or video formats you send to us, we can analyze it and delivers extreme level outcomes at affordable prices. With the help of our transcription professionals, we can satisfy any kinds of your transcription requirements such as business transcription, legal transcription, multimedia transcription, educational transcription, medical transcription, bilingual/multilingual transcription, audio transcription and video transcription to convert your any formats of inputs into reliable and seamless written, text files or electronic formats with low prices.